R.C. 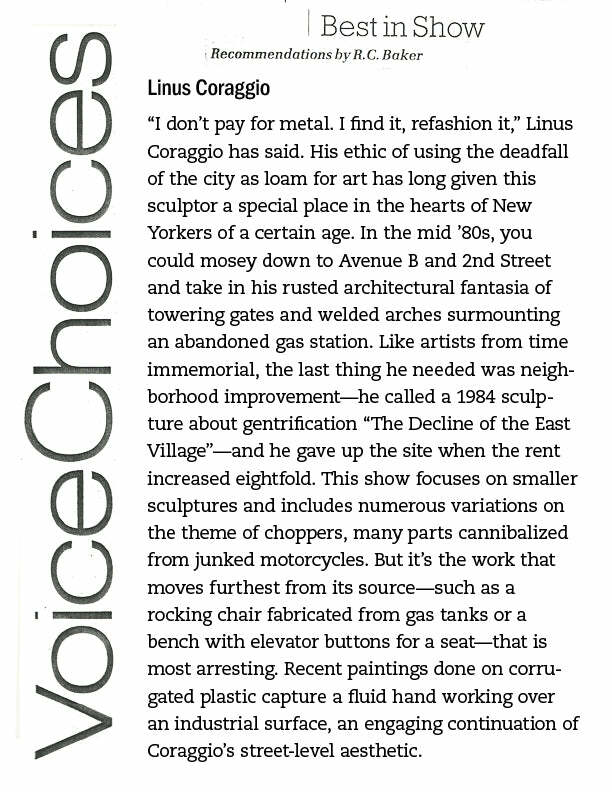 Baker praises Linus in his Village Voice column and recommends Coraggio’s show at Michael Steinberg Fine Art. Now roll your mouse over the article and you will see Coraggio’s response. With Linus Coraggio, flattery really will get you nowhere!